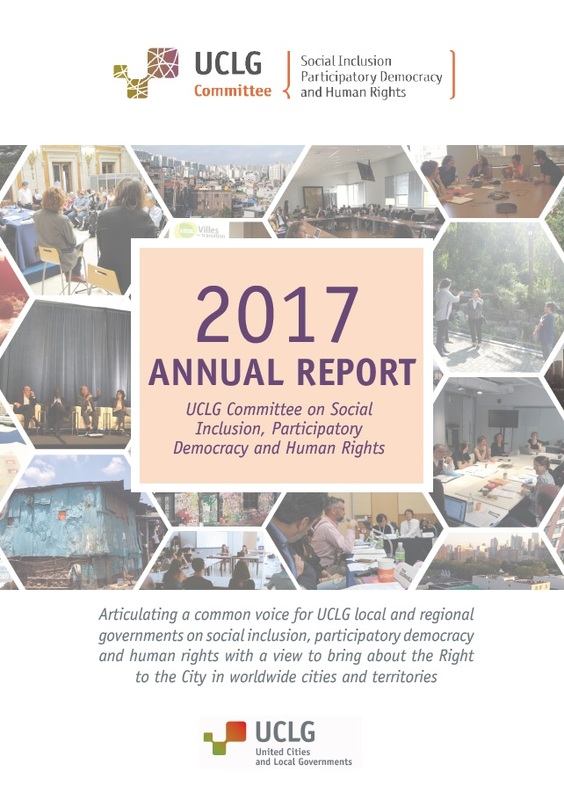 We are pleased to inform you the Annual Report of the Committee on Social Inclusion, Participatory Democracy and Human Rights of UCLG is fully available online. The Report includes all the activities carried out by the Committee throughout 2017. Following the adoption of the New Urban Agenda and UCLG’s mobilization towards the Right to Housing or around the global governance of migrations, member-local authorities from our Committee advocate for a full realization of the Right to the City in global, local government and UCLG agendas. The Committee has equally carried out a strong advocacy work to promote the vision of human rights cities. In 2017, the Committee has continued to gain weight in UCLG strategy, in an articulation process that has been embodied by the Committee’s involvement in UCLG “waves of action” strategy. Several of the most active local authorities of the Committee have taken part as well in the Policy Council on the Right to the City. Our cooperation with the Global Platform for the Right to the City has equally been strengthened, and the Committee has continued to gain international recognition with an extensive collaboration with the United Nations human rights system. The Executive Secretariat of the Committee would like to express its gratitude to its active members, whose participation, initiative and financial support made these outcomes possible. We recall the importance of relying on the active participation of local authorities to sustain the work of the Committee. To this end, our Executive Secretariat is at the full disposal of local governments who wish to concretise a closer collaboration with the Committee. Please contact cisdp1@uclg.org for further information.